I wrote a post a couple of years back called 15 Twitter tips for beginners which, though two years old, still has useful information for Twitter users – especially if you make sure to read all the comments as well. Needless to say, things have moved on considerably in the intervening period – bear in mind that post was written over a year before the launch of the iPad and seven months before version 1.0 of Android was released! Start off easy by posting a few innocuous posts introducing yourself and your interests, “I’m Tom, a Social Media and Sustainability expert”, “I recently moved to Seville, anyone on here from Seville?”, – that kind of thing. Then be sure to mention why you’re using Twitter, e.g. “I hope to learn more about cleantech”, or whatever it is you are hoping to get from it. Then build up your network. Start with friends who you know to be on Twitter. Start following them. But also look at the list of people they are following. You may know some of them too, if so, follow them as well. If you precede someone’s username with the @ symbol in a post on Twitter (i.e. 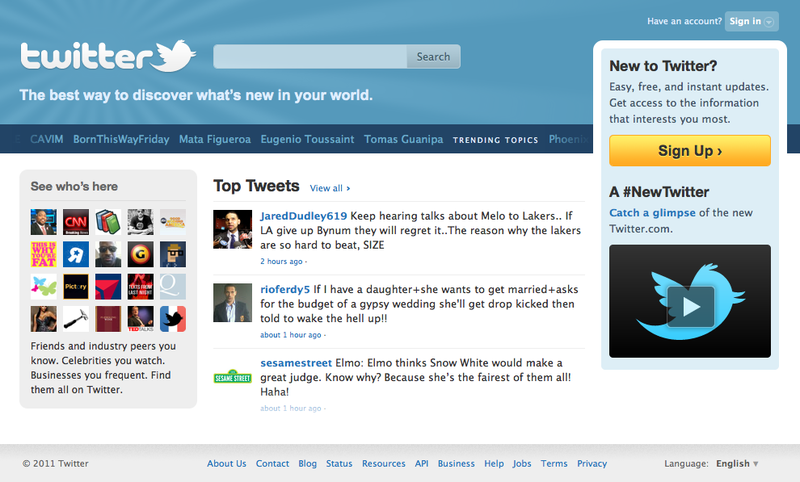 “@tomraftery how is it going?”) then your post appears in the @Mentions tab on their Twitter page. This works whether they are following you or not. When you @reply to someone, and they see you appear in their @Mentions tab, they are likely to check out your profile and posts and may decide to follow you. This is a very powerful way to build up your network with people who don’t necessarily know you but with whom you want to connect. On the computer use either Seesmic Desktop or TweetDeck for posting/reading posts. I prefer TweetDeck. Having said that, the Twitter web interface is still prob the best for checking people’s profiles and seeing who they follow. I also check out what the person says about themselves in the bio (so, if you want people to follow you, be sure to fill in your own bio!) and click to view their website site, if they have one . If you want people to follow you, then ensure your updates are not protected. Someone coming to your Twitter page and seeing Protected Updates is very unlikely to see any reason to follow you. Purely a personal preference, but I think it is far better to use your own name on your Twitter account than a handle. It is a matter of personal branding but to my mind, a Twitter account called @JohnDoe tells me more about the user than @stargazr49! FWIW I’ll be writing many more posts about Twitter best practices, with a special emphasis on Twitter for Sustainability obviously, in the coming weeks and months – stay tuned! Wao, they are some of brilliant which I have read so far over the Internet. Just amazing information you have shared. Great post, it’s sometimes tough getting in the swing with the twitter language. Another important aspect that you didn’t mention is hashtags, which offer a great way to gain exposure in a particular space. Normally I’m agisant killing but this article slaughtered my ignorance.